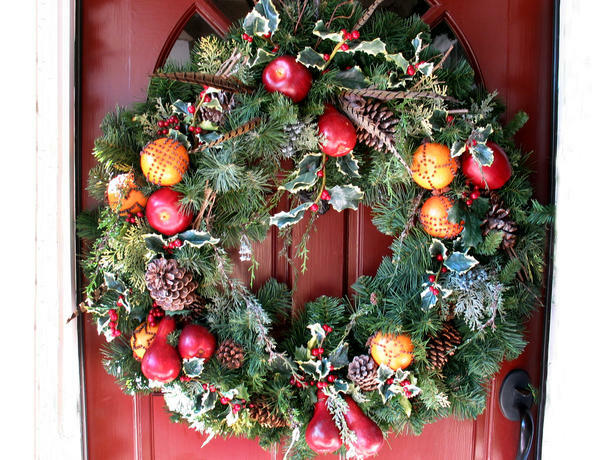 One way to help bring in the Winter season and the Holidays this year is with a festive door wreath. Here at Cornerstone Homes, we love seeing what the folks in our community put up for decorations. 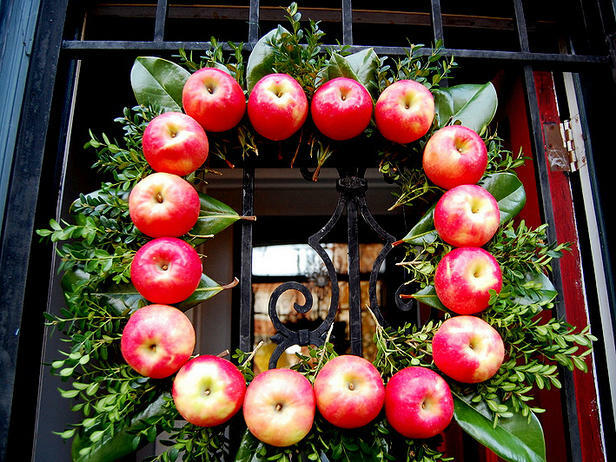 To help with ideas and inspire this year's Winter wreath, we found these 7 from Better Homes and Gardens. Have your own design? Send us photos, we'd love to post them! Vintage ice skates, pine boughs and a glittered chipboard phrase create a one-of-a-kind decoration. Magnolia, boxwood and fresh apples combine to add a vibrant pop of color to a door. Tip: Apples won't stay fresh for more than a week; substitute faux fruit for an enduring alternative. 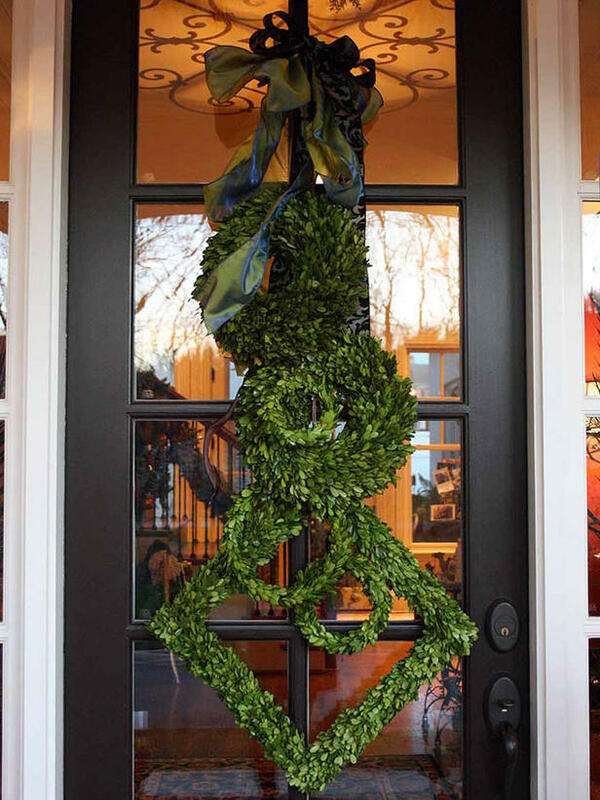 Fresh boxwood wreaths in assorted shapes and sizes are linked together for a modern spin on the traditional wreath. Like conifers, boxwoods are evergreen, making them a beautiful alternative to pine or cedar. 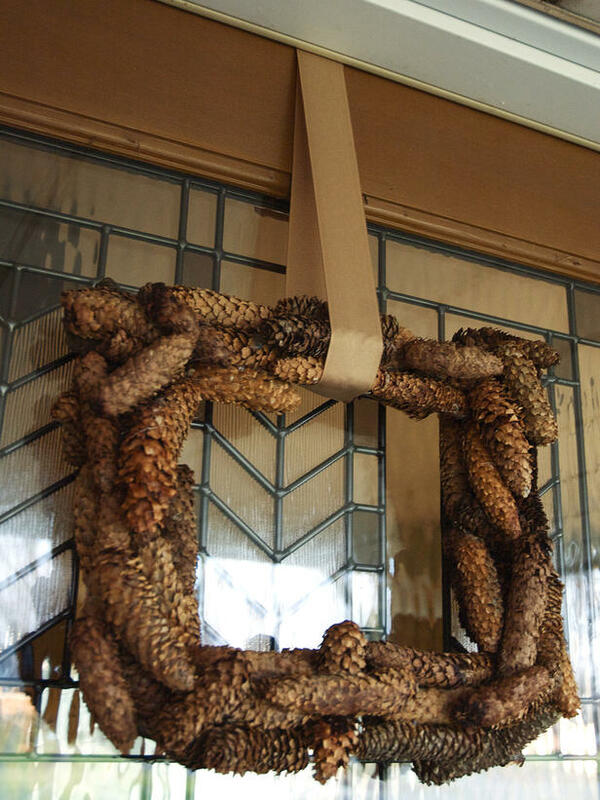 This pinecone wreath was made from cones that were found in the yard of this home. 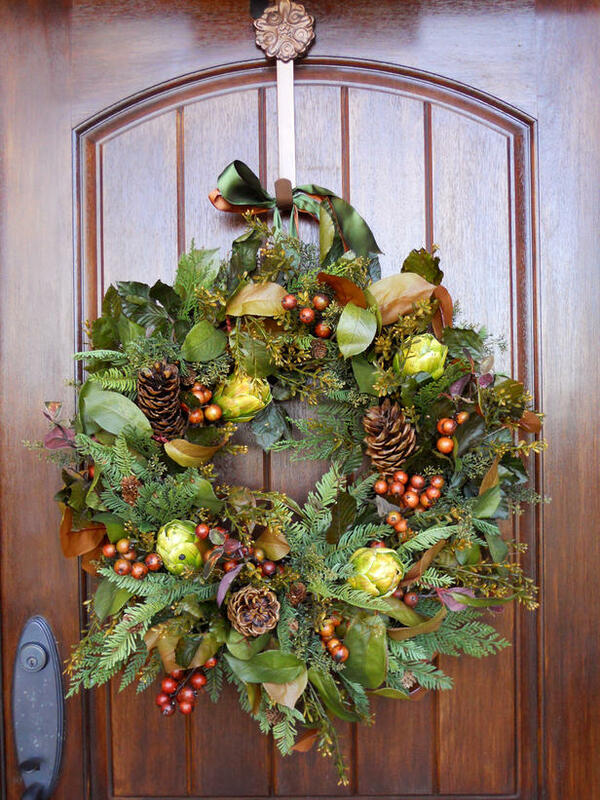 Assorted winter greenery, pinecones, artichokes and cranapples combine to create a woodsy, organic wreath. 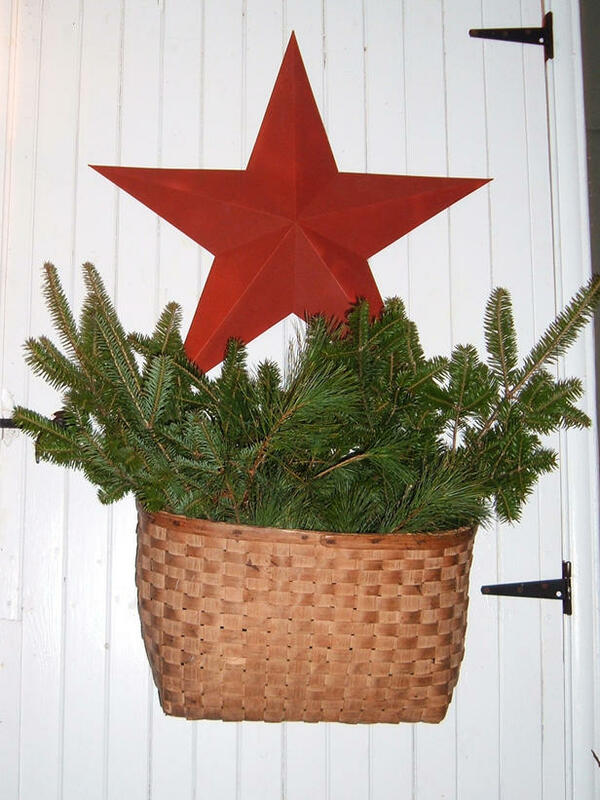 A small barn star and flat-backed basket filled with fresh-cut evergreens add a primitive touch to this front door. This wreath was inspired by a trip to Colonial Williamsburg, Virginia. Unique elements include pheasant feathers and fragrant oranges studded with cloves.